Monday, 10 December 2018, 8:57a.m. A former police investigator said the murder of British tourist Grace Millane is shocking and a "terrible tragedy" for New Zealand. A body believed to be the missing British tourist was been found by police in the Waitakere Ranges yesterday. 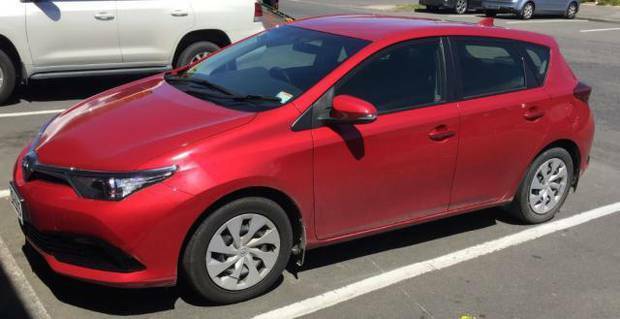 Police are now seeking sightings of the 2016 red Toyota Corolla hatchback that was hired from a central Auckland rental company and was possibly in the West Auckland area between 6am and 9am on Monday. Millane was last seen on CCTV on Saturday December 1 entering CityLife Hotel with a 26-year-old man. That man is now in police custody and due to appear in court today charged with murder. Former police investigator, Lance Burdett, told Mike Hosking this case has hit everyone hard. "When you have kids yourself, as a police officer your first thought it your family. It is a terrible tragedy. Putting that aside there's professional pride in New Zealand Police and we have got a pretty good track record when it comes to these sorts of things." He said the CCTV footage was critical to solving this case. "The more evidence you have the greater the chance of a conviction. It [CCTV] is a massive advantage. I don't think it can be overstated." "Years ago I was working a homicide and we ended up capturing the offenders on CCTV footage from shops when they were running past. Most shops in the city have cameras." Burdett said there is still a huge amount of work to be done. "Every murder, every homicide is treated the same. It is done with meticulous detail. You're not just trying to find evidence that proves it, you're also trying to find evidence that disproves it to cover all your basis and keep an open mind, just in case." He said because this is an international case which will place more pressure on the officers working it.